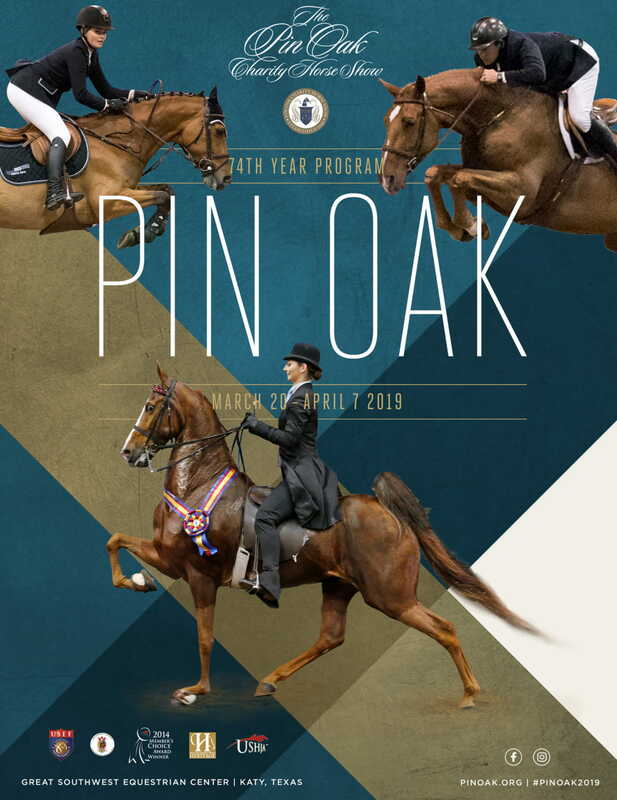 Being a Pin Oak Sponsor and having access to the Sponsors’ Club puts the entire Pin Oak Charity Horse Show experience at your fingertips. 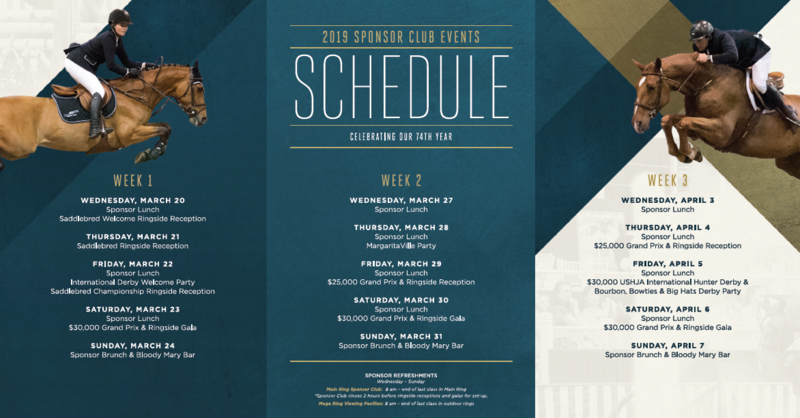 Enjoy the hospitality that sets Pin Oak apart in the ringside Sponsors’ Club during all 3 weeks of the show. Cocktail parties, ringside dinners, luncheons, and ringside galas are just feet from the high caliber events each week. 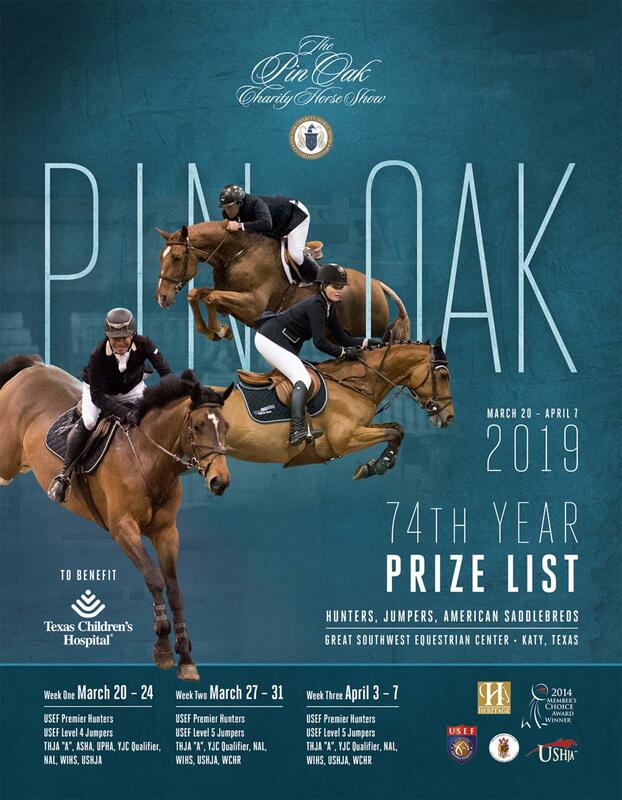 For more information on becoming a sponsor, contact Lauryn Sanford, Director of Sponsorship & Development at Sponsorships@pinoak.org or 713.653.3163. All sponsor events are held in the Sponsors Club, located ringside in the Main Arena. *The VIP Sponsor Kick Off Party will be held downtown – spring date is TBD. I-10 heading west from Houston, leave I-10 at Mason Road exit, and turn left onto South Mason Road. 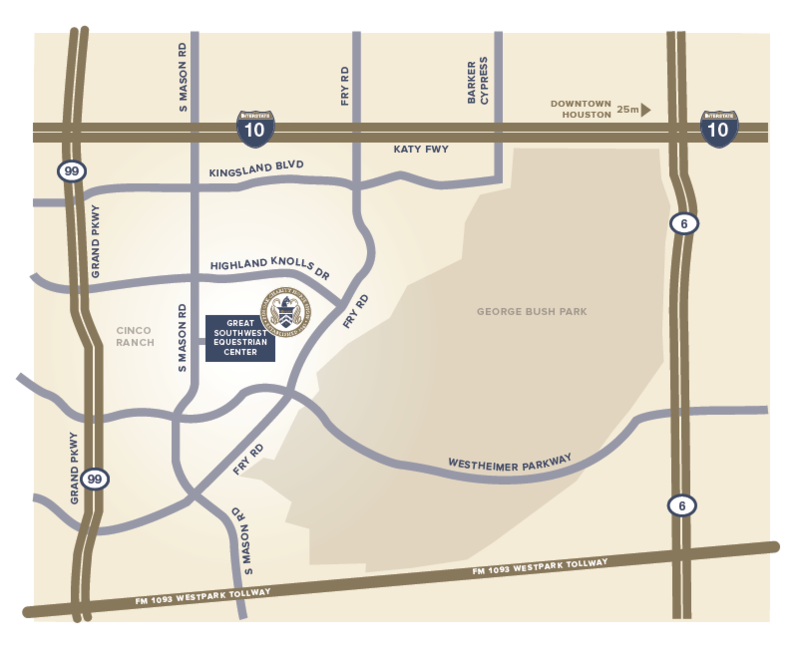 The turn in for Great Southwest Equestrian Center is 2.9 miles south. Turn left at Northmoor Drive. At Grace Fellowship, you will turn left at the stop sign and follow the road around into the Equestrian Center. *On gala nights, show sponsor credentials to parking attendants. Turn in entrance D, follow the valet signs around to the back of the Wheless arena for valet drop off.